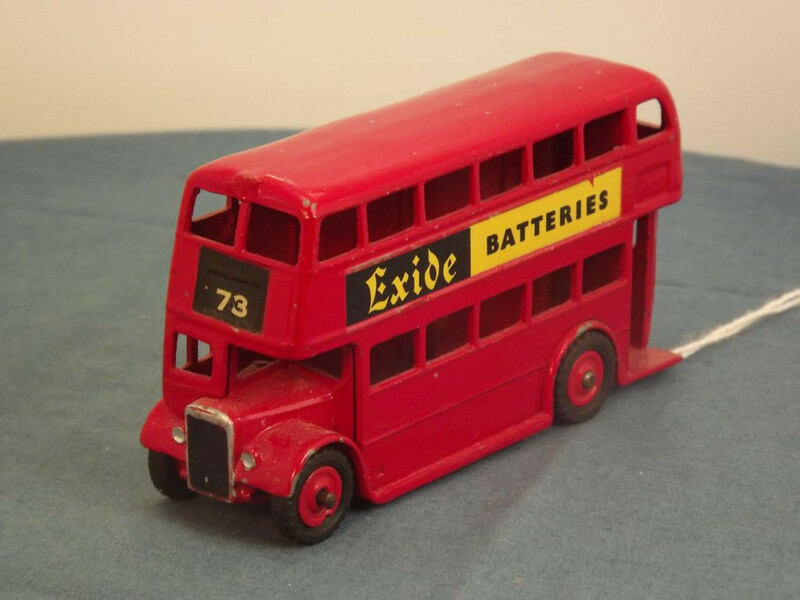 This model is the Dinky 291-G-1 Leyland Double Decker Bus in red with Exide Batteries decals. This items is a Code 3 restoration. The model features a two piece cast metal body. The Leyland style grille and headlights are picked out in silver paint. The front and rear route boards have had "73" decals added. On each side is a black and yellow "Exide Batteries" decal. There is no interior detail and no glazing. 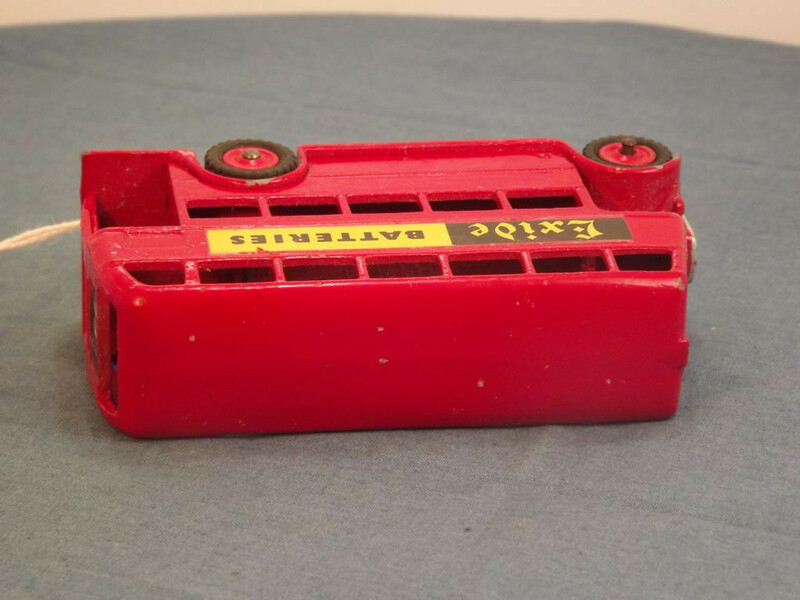 All wheels are of a shaped cast metal type - solid one piece cast metal hubs, painted red, with a separate black "rubber" tyre. 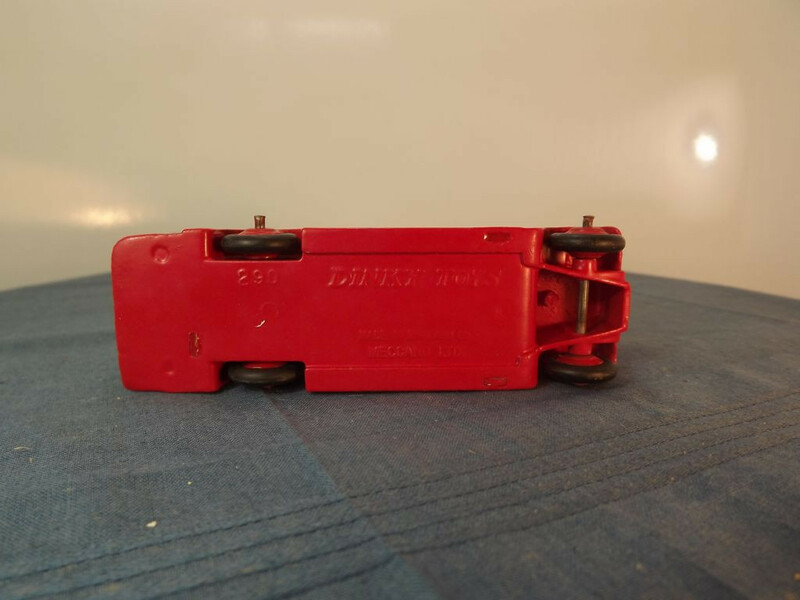 The baseplate, which also forms the bonnet and part of the driver's cab, is red painted metal with Dinky Toys at the top centre, and "Made in England, Meccano Ltd" on two lines at the bottom centre. A model reference number (290 as this item uses the same casting as the 290) is cast at right angles to the rear axle. It was originally fixed through the use of split rivets but is now glued in place. 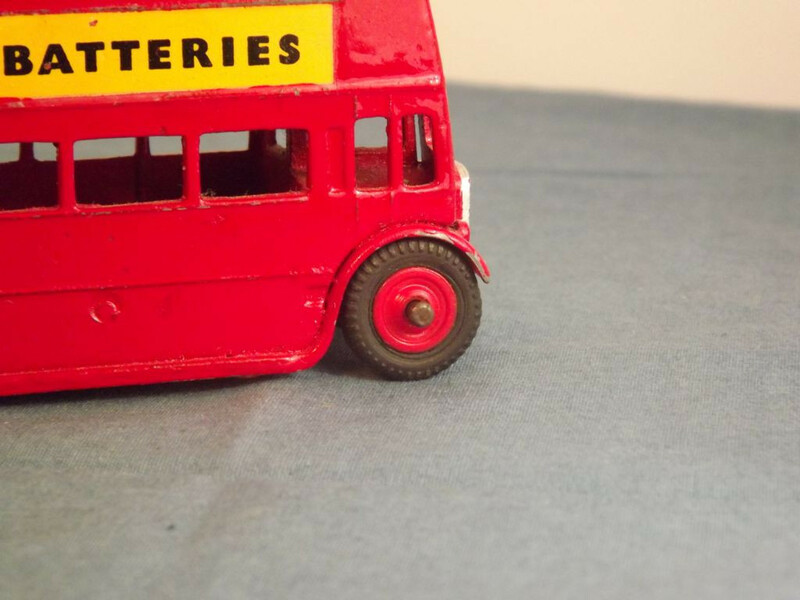 This model was issued in 1959. 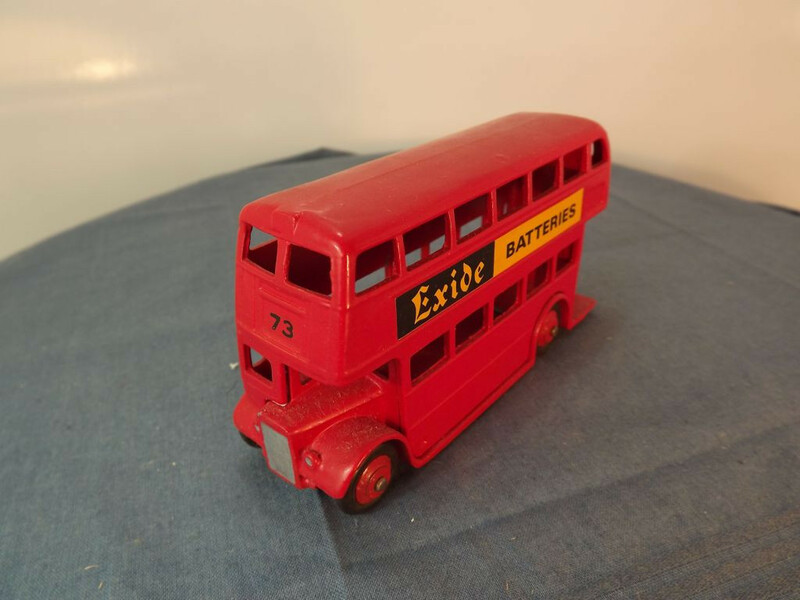 This model is the Dinky 291-G-3 Leyland Double Decker Bus in red with Exide Batteries decals. The model features a two piece cast metal body. The Leyland style grille and headlights are picked out in silver paint and further embellished by a former owner who painted the grille black. The front and rear route boards have "73" decals. 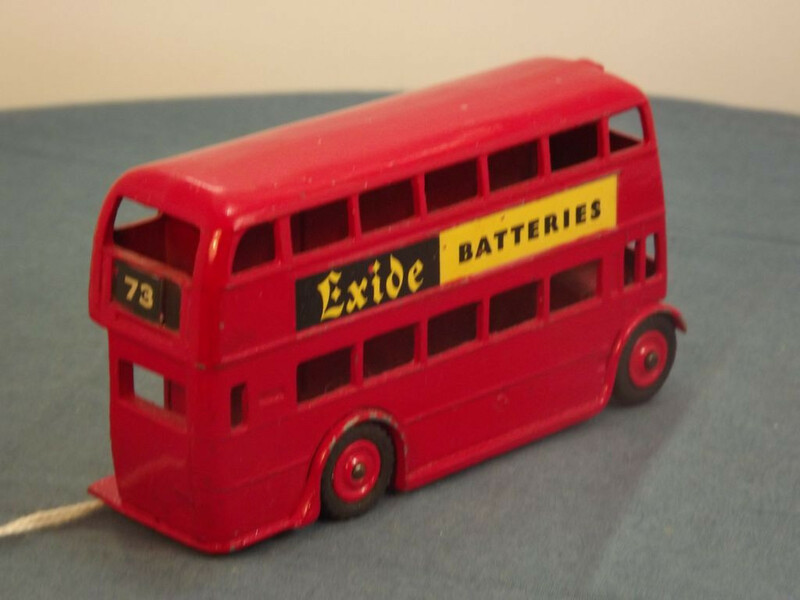 On each side is a black and yellow "Exide Batteries" decal. 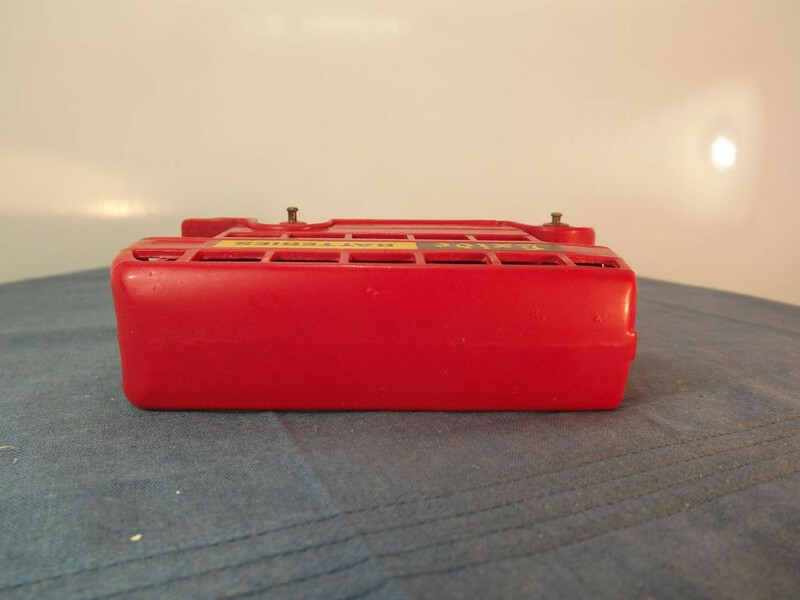 All wheels are of a shaped cast plastic type - solid one piece, cast, red plastic hubs with a separate black "rubber" tyre. 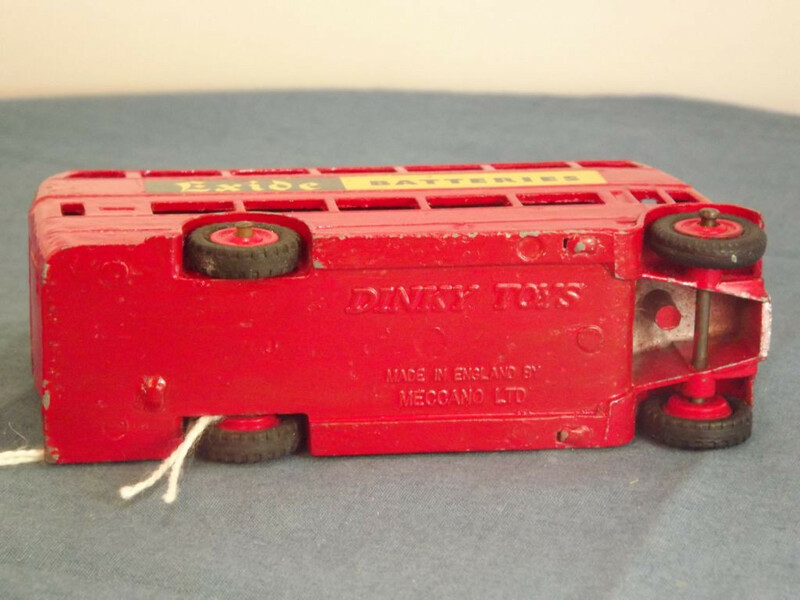 The baseplate, which also forms the bonnet and part of the driver's cab, is red painted metal with Dinky Toys at the top centre, and "Made in England, Meccano Ltd" on two lines at the bottom centre. There is no model reference number. It is fixed through the use of split rivets. 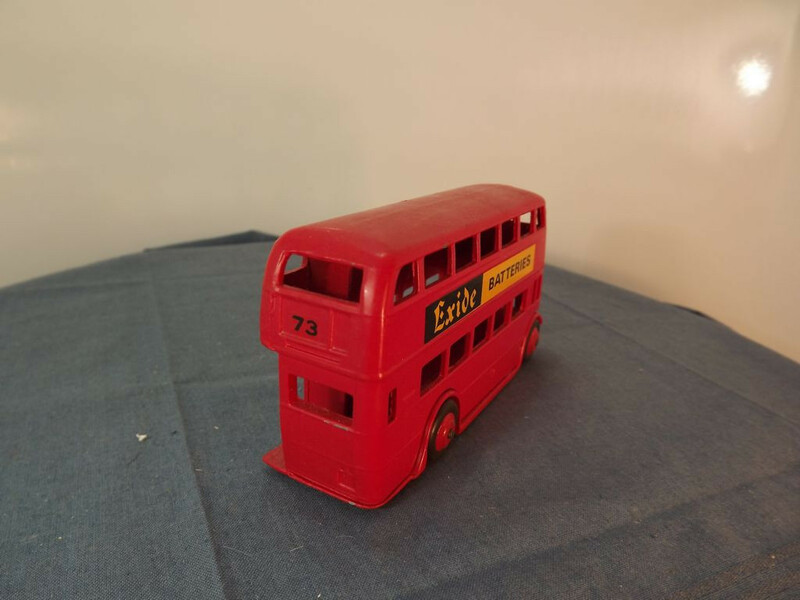 This late issue model probably dates from 1962/63 due to the plastic hubs.